65 Vereine were represented at the Gaufest, six of which were potential member Vereine. Three Vereine were from Bavaria. Gaufest First: A Thursday evening Heimatabend. It was such an overwhelming success that it prompted some rethinking for future Gaufeste. 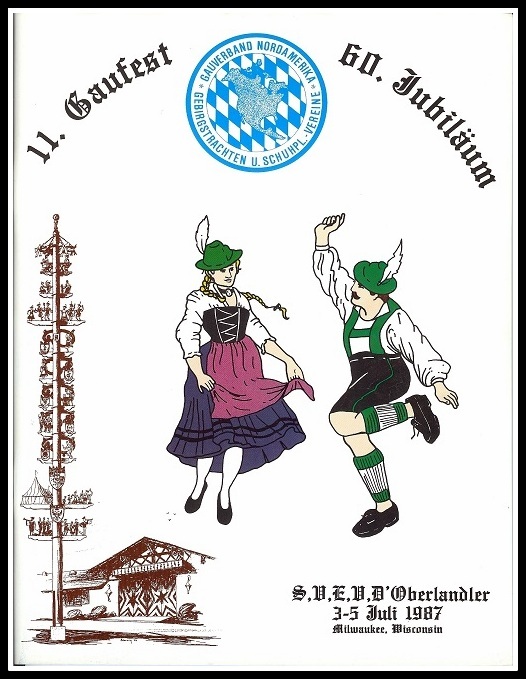 Three workshops - one reviewing Tracht, the other two to review Schuhplattler. Plattler from Alt Rosenheim taught one of the workshops.